The First Battle of Fort Sumter began on April 12, 1861, when Confederate artillery fired on the Union garrison. These were the first shots of the war and continued all day, watched by many civilians in a celebratory spirit. The fort had been cut off from its supply line and surrendered the next day. The Second Battle of Fort Sumter (September 8, 1863) was a failed attempt by the Union to retake the fort, dogged by a rivalry between army and navy commanders. 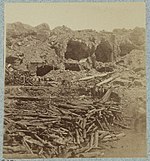 Although the fort was reduced to rubble, it remained in Confederate hands until it was evacuated as General Sherman marched through South Carolina in February 1865. Fort Sumter is open for public tours as part of the Fort Sumter and Fort Moultrie National Historical Park operated by the National Park Service. Named after General Thomas Sumter, Revolutionary War hero, Fort Sumter was built after the War of 1812, as one of a series of fortifications on the southern U.S. coast to protect the harbors. Construction began in 1829, and the structure was still unfinished in 1861, when the Civil War began. 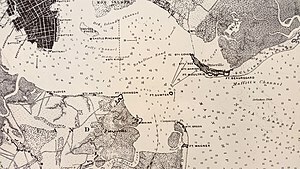 Seventy thousand tons of granite were transported from New England to build up a sand bar in the entrance to Charleston Harbor, which the site dominates. The fort was a five-sided brick structure, 170 to 190 feet (52 to 58 m) long, with walls five feet (1.5 m) thick, standing 50 feet (15.2 m) over the low tide mark. It was designed to house 650 men and 135 guns in three tiers of gun emplacements, although it was never filled near its full capacity. On December 26, 1860, six days after South Carolina seceded from the Union, U.S. Army Major Robert Anderson abandoned the indefensible Fort Moultrie, spiking its large guns, burning its gun carriages, and taking its smaller cannon with him to be trained on the city. He secretly relocated companies E and H (127 men, 13 of them musicians) of the 1st U.S. Artillery to Fort Sumter on his own initiative, without orders from his superiors. He thought that providing a stronger defense would delay an attack by South Carolina militia. The fort was not yet complete at the time and fewer than half of the cannons that should have been available were in place, due to military downsizing by President James Buchanan. 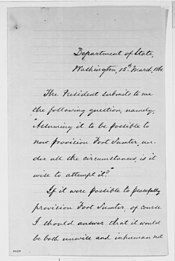 In a letter delivered January 31, 1861, South Carolina Governor Pickens demanded of President Buchanan that he surrender Fort Sumter because "I regard that possession is not consistent with the dignity or safety of the State of South Carolina." Over the next few months repeated calls for evacuation of Fort Sumter from the government of South Carolina and then from Confederate Brigadier General P. G. T. Beauregard were ignored. Union attempts to resupply and reinforce the garrison were repulsed on January 9, 1861 when the first shots of the war, fired by cadets from the Citadel, prevented the steamer Star of the West, hired to transport troops and supplies to Fort Sumter, from completing the task. After realizing that Anderson's command would run out of food by April 15, 1861, President Lincoln ordered a fleet of ships, under the command of Gustavus V. Fox, to attempt entry into Charleston Harbor and supply Fort Sumter. The ships assigned were the steam sloops-of-war USS Pawnee and USS Powhatan, transporting motorized launches and about 300 sailors (secretly removed from the Charleston fleet to join in the forced reinforcement of Fort Pickens, Pensacola, FL), armed screw steamer USS Pocahontas, Revenue Cutter USRC Harriet Lane, steamer Baltic transporting about 200 troops, composed of companies C and D of the 2nd U.S. Artillery, and three hired tugboats with added protection against small arms fire to be used to tow troop and supply barges directly to Fort Sumter. By April 6, 1861, the first ships began to set sail for their rendezvous off the Charleston Bar. The first to arrive was Harriet Lane, the evening of April 11, 1861. On Thursday, April 11, 1861, Beauregard sent three aides, Colonel James Chesnut, Jr., Captain Stephen D. Lee, and Lieutenant A. R. Chisolm to demand the surrender of the fort. Anderson declined, and the aides returned to report to Beauregard. After Beauregard had consulted the Confederate Secretary of War, Leroy Walker, he sent the aides back to the fort and authorized Chesnut to decide whether the fort should be taken by force. The aides waited for hours while Anderson considered his alternatives and played for time. At about 3:00 a.m., when Anderson finally announced his conditions, Colonel Chesnut, after conferring with the other aides, decided that they were "manifestly futile and not within the scope of the instructions verbally given to us." The aides then left the fort and proceeded to the nearby Fort Johnson. There, Chesnut ordered the fort to open fire on Fort Sumter. On Friday, April 12, 1861, at 4:30 a.m., Confederate batteries opened fire, firing for 34 straight hours, on the fort. Edmund Ruffin, noted Virginian agronomist and secessionist, claimed that he fired the first shot on Fort Sumter. His story has been widely believed, but Lieutenant Henry S. Farley, commanding a battery of two 10 inch siege mortars on James Island fired the first shot at 4:30 a.m.(Detzer 2001, pp. 269–71) No attempt was made to return the fire for more than two hours. The fort's supply of ammunition was not suited for the task; also, there were no fuses for their explosive shells, which means that they could not explode. Only solid iron balls could be used against the Confederate batteries. At about 7:00 a.m., Captain Abner Doubleday, the fort's second in command, was given the honor of firing the Union's first shot, in defense of the fort. He missed, in part because Major Anderson did not use the guns mounted on the highest tier, the barbette tier (where the guns could engage the Confederate batteries better), where the gunners would be more exposed to Confederate fire. The firing continued all day. The Union fired slowly to conserve ammunition. At night, the fire from the fort stopped, but the Confederates still lobbed an occasional shell into Sumter. On Saturday, April 13, the fort was surrendered and evacuated. During the attack, the Union colors fell. Lt. Norman J. Hall risked life and limb to put them back up, burning off his eyebrows permanently. A Confederate soldier bled to death having been wounded by a misfiring cannon. One Union soldier died and another was mortally wounded during the 47th shot of a 100 shot salute, allowed by the Confederacy. Afterward, the salute was shortened to 50 shots. Accounts, such as in the famous diary of Mary Chesnut, describe Charleston residents along what is now known as The Battery, sitting on balconies and drinking salutes to the start of the hostilities. The Fort Sumter Flag became a popular patriotic symbol after Major Anderson returned North with it. The flag is still displayed in the fort's museum. A supply ship Star of the West took all the garrison members to New York City. There they were welcomed and honored with a parade on Broadway. Union efforts to retake Charleston Harbor began on April 7, 1863, when Rear Admiral Samuel Francis Du Pont, commander of the South Atlantic Blockading Squadron, led the ironclad frigate New Ironsides, the tower ironclad Keokuk, and the monitors Weehawken, Passaic, Montauk, Patapsco, Nantucket, Catskill, and Nahant in an attack on the harbor's defenses (The 1863 Battle of Fort Sumter was the largest deployment of monitors in action up to that time). The attack was unsuccessful, the Union's best ship, USS New Ironsides never effectively engaged, and the ironclads fired only 154 rounds, while receiving 2,209 from the Confederate defenders (Wise 1994, p. 30). Due to damage received in the attack, the USS Keokuk sank the next day, 1,400 yards (1,300 m) off the southern tip of Morris Island. Over the next month, working at night to avoid the attention of the Federal squadron, the Confederates salvaged Keokuk's two eleven-inch Dahlgren guns (Ripley 1984, pp. 93–6). One of the Dahlgren guns was promptly placed in Fort Sumter. The Confederates, in the meantime, were strengthening Fort Sumter. A workforce of just under 500 enslaved Africans, under the supervision of Confederate army engineers, were filling casemates with sand, protecting the gorge wall with sandbags, and building new traverse, blindages, and bombproofs. Some of Fort Sumter's artillery had been removed, but 40 pieces still were mounted. Fort Sumter's heaviest guns were mounted on the barbette, the fort's highest level, where they had wide angles of fire and could fire down on approaching ships. The barbette was also more exposed to enemy gunfire than the casemates in the two lower levels of the fort. A special military decoration, known as the Gillmore Medal, was later issued to all Union service members who had performed duty at Fort Sumter under the command of Major-General Quincy Adams Gillmore. Interior View of Fort Sumter, taken by a Confederate photographer, 1864. Exterior view of Fort Sumter, 1865. Banded rifle in the foreground, fraise at the top. View of Fort Sumter from the sandbar, 1865. After the devastating bombardment, both Major General Quincy A. Gillmore and Rear Admiral John A. Dahlgren, now commanding the South Atlantic Blockading Squadron, determined to launch a boat assault on Fort Sumter for the night of September 8–9, 1863. Cooperation between the Army and Navy was poor. Dahlgren refused to place his sailors and marines under the command of an army officer, so two flotillas set out towards Fort Sumter that night. The army flotilla was detained off Morris Island by the low tide. By the time they could proceed, the navy assault had already been defeated and the army flotilla returned to shore. The navy's assault involved 400 sailors and marines in 25 boats. The operation was a fiasco from beginning to end. Poor reconnaissance, planning, and communication all characterized the operation. Commander Thomas H. Stevens, Jr., commanding the monitor Patapsco, was placed in charge of the assault. When Commander Stevens protested that he "knew nothing of [the assault's] organization " and "made some remonstrances on this grounds and others." Dahlgren replied, "There is nothing but a corporal's guard [about 6–10 men] in the fort, and all we have to do is go and take possession." (Stevens 1902, p. 633). This underestimation of the Confederate forces on Dahlgren's part may explain why he was hostile to a joint operation wishing to reserve the credit for the victory to the navy. Less than half of the boats landed. 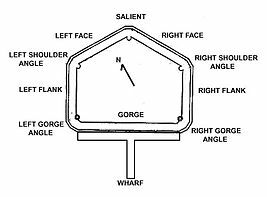 Most of the boats that did land landed on the right flank or right gorge angle, rather than on the gorge where there was a passable breach. The Union sailors and marines who did land could not scale the wall. The Confederates fired upon the landing party and as well as throwing hand grenades and loose bricks. The men in the boats that had not landed' fired muskets and revolvers blindly at the fort, endangering the landing party more than the garrison. The landing party took shelter in shell holes in the wall of the fort. In response to a signal rocket fired by the garrison, Fort Johnson and the Confederate warship CSS Chicora opened fire upon the boats and landing party. A number of the boats withdrew under fire and the landing party surrendered. The Union casualties were 8 killed, 19 wounded, and 105 captured (including 15 of the wounded). The Confederates did not suffer any casualties in the assault. After the unsuccessful boat assault, the bombardment recommenced and proceeded with the varying degree of intensity, doing more damage to Fort Sumter until the end of the war. The garrison continued to suffer casualties. The Confederates continued to salvage guns and other material from the ruins and harassed the Union batteries on Morris Island with sharpshooters. The Confederates mounted four 10-inch (250 mm) columbiads, one 8-inch (200 mm) columbiad rifled, and two rifled 42-pounders, in the left face, bottom tier casemates. The last Confederate commander, Major Thomas A. Huguenin, a graduate from The Citadel, The Military College of South Carolina, never surrendered Fort Sumter, but General William Tecumseh Sherman's advance through South Carolina finally forced the Confederates to evacuate Charleston on February 17, 1865, and abandon Fort Sumter. The Federal government formally took possession of Fort Sumter on February 22, 1865. On April 14, 1865, mere hours before President Lincoln's assassination, Anderson (now a major general) returned to Sumter with the flag he had been forced to lower after the surrender four years earlier, and raised it in triumph over the ruined fort. When the Civil War ended, Fort Sumter was in ruins. The U.S. Army worked to restore it as a useful military installation. The damaged walls were re-leveled to a lower height and partially rebuilt. The third tier of gun emplacements was removed. Eleven of the original first-tier gun rooms were restored with 100-pounder Parrott rifles. 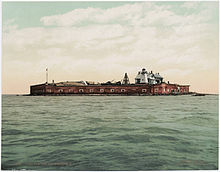 From 1876 to 1897, Fort Sumter was used only as an unmanned lighthouse station. The start of the Spanish–American War prompted renewed interest in its military use and reconstruction commenced on the facilities that had further eroded over time. A new massive concrete blockhouse-style installation was built in 1898 inside the original walls, armed with two 12-inch M1888 guns, one on a disappearing carriage. Named "Battery Huger" in honor of Revolutionary War General Isaac Huger, it never saw combat. This battery was deactivated in 1947, and in 1948 the fort became Fort Sumter National Monument under the control of the National Park Service. One hundred and forty-seven years after it was sent, a rolled up telegraphic message was found and eventually given to a museum in Charleston, S.C. The telegram was dated April fourteenth, 1861 from the Governor of South Carolina to Gazaway Bugg Lamar in New York with a most interesting message, part of which is told below: (for the complete text see "External Links", Ft. Sumter telegram). In 1966, the site was listed on the National Register of Historic Places. The Civil War Trust (a division of the American Battlefield Trust) and its partners have acquired and preserved 0.23 acres (0.00093 km2) of historic land related to the battles at Fort Sumter. Fort Sumter and Fort Moultrie National Historical Park encompasses three sites in Charleston: the original Fort Sumter, the Fort Sumter Visitor Education Center, and Fort Moultrie on Sullivan's Island. Access to Fort Sumter itself is by private boat or a 30-minute ferry ride from the Fort Sumter Visitor Education Center or Patriots Point. The Visitor Education Center's museum features exhibits about the disagreements between the North and South that led to the incidents at Fort Sumter. The museum at Fort Sumter focuses on the activities at the fort, including its construction and role during the Civil War. April 12, 2011, marked the 150th Anniversary of the start of the Civil War. There was a commemoration of the events by thousands of Civil War reenactors with encampments in the area. A United States stamp of Fort Sumter and a first-day cover was issued that day. On June 28, 2015, in the aftermath of the events of June 17, 2015, when a mass shooting took place at Emanuel African Methodist Episcopal Church in downtown Charleston, South Carolina, the five small flags that were arranged in a semi-circle around the large flagpole flying the 50-star United States flag at Fort Sumter were lowered so that the South Carolina flag could be flown at half mast. Those flown include (1) a 33-star United States flag, (2) a Confederate First National Flag (Stars and Bars), (3) a South Carolina State Flag, (4) a Confederate Second National Flag (Stainless Banner), and (5) a 35-star United States flag. This display was added to Fort Sumter National Monument in the 1970s. In August 2015, the flagpoles were removed to create a new exhibit. The four historic national flags now fly on the lower parade ground. ^ "Listing of acreage as of December 31, 2011". Land Resource Division, National Park Service. Retrieved May 14, 2012. ^ "Fort Sumter National Monument — Draft General Management Plan Environmental Assessment" (PDF). National Park Service. 1998. p. 10. Retrieved July 30, 2015. 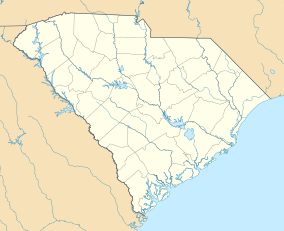 ^ See Wikipedia, Battle of Fort Sumter, and authorities there cited. ^ Robert Anderson to Robert N. Gourdin, December 27, 1860. ^ Haskin, William, Major, 1st U.S. Artillery (1896). 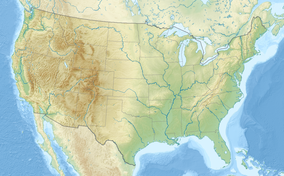 "History of the 1st U.S. Artillery". Archived from the original on July 25, 2010. ^ James Buchanan (1911). The Works of James Buchanan: Comprising His Speeches, State Papers, and Private Correspondence. p. 178. ^ Harris, W.A. (1862). The record of Fort Sumter, from its occupation by Major Anderson, to its reduction by South Carolina troops during the administration of Governor Pickens. Columbia, SC: South Carolinian Steam Job Printing Ofiice. p. 7. Retrieved September 27, 2014. ^ Traverses, Civil War Fortifications dictionary. ^ a b "Fort Sumter National Monument, Charleston County (Charleston Harbor and Sullivan's Island)". National Register Properties in South Carolina. South Carolina Department of Archives and History. Retrieved June 11, 2012. ^ Nelson, Benjamin G. (October 10, 1973). "Fort Sumter National Monument" (pdf). National Register of Historic Places - Nomination and Inventory. Retrieved June 11, 2012. ^ "Timeline Photos - Fort Sumter National Monument - Facebook". Chesnut, Mary Boykin (2011). A Diary from Dixie. Waking Lion Press. ISBN 1-434103-22-6. Detzer, David R. (2001). Allegiance: Fort Sumter, Charleston and the Beginning of the Civil War. New York: Harcourt. ISBN 0-15-100641-5. Doubleday, Abner (1998). Reminiscences of Forts Sumter and Moultrie in 1860-61. Charleston, SC: Nautical & Aviation Publishing Company. ISBN 1-877853-40-2. Wise, Stephen R. (1994). Gate of Hell: Campaign for Charleston Harbor, 1863. Columbia, S.C.: University of South Carolina Press. ISBN 0-87249-985-5. Elliott, Stephen, Jr. (1902). "Detailed report, September 12, 1863". Official Records of the Union and Confederate Navies in the War of the Rebellion, Series I. Washington, D.C.: Government Printing Office. 14: 637–9. Scott, Robert N. (1890). "Return of Casualties in the Confederate forces at Fort Sumter, August 12 – December 11 (1863)". The War of the Rebellion: A Compilation of the Official Records of the Union and Confederate Armies, Series I. Washington, D.C.: Government Printing Office. XXVIII (Part I): 650. Stevens, Thomas H.. (1902). "Delayed report, September 28, 1865". Official Records of the Union and Confederate Navies in the War of the Rebellion, Series I. Washington, D.C.: Government Printing Office. 14: 633. Retrieved November 18, 2007. Turner, John W. (1890). "Reports". The War of the Rebellion: A Compilation of the Official Records of the Union and Confederate Armies, Series I. Washington, D.C.: Government Printing Office. XXVIII (Part I): 212–25. Wikimedia Commons has media related to Fort Sumter National Monument. Wikisource has the text of an 1879 American Cyclopædia article about Fort Sumter.